With ice axes in your hands, crampons on your feet, a helmet on your head, and a waist harness and rope you are ready for a new winter adventure – ice climbing in Slovenian waterfalls! 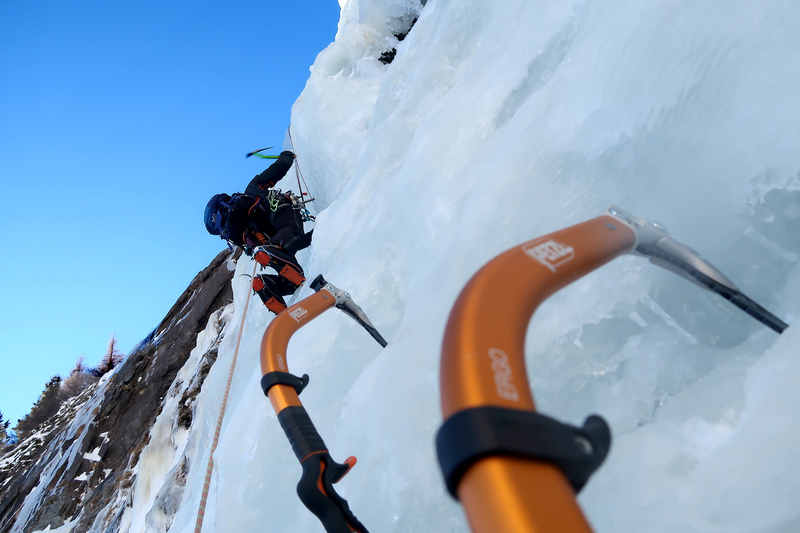 You will soon realise that the ice is quite solid, so a proper technique is required when holding an ice axe in order to strike with it and progress up the ice. All these activities are performed under the watchful eye of one of our mountain guides. All you need is some courage, and strength in your arms and legs.